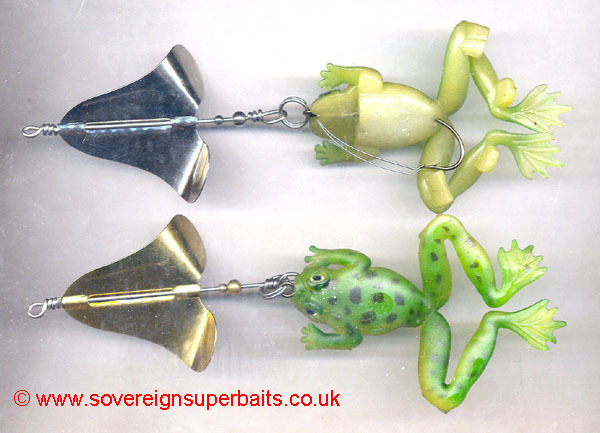 Gaga Soft Frogs are a new lure from one of our Serbian partners. They are as the title suggests, a soft bodied plug. They are hand made & very reasonably priced for what they are, but it must be remembered that hand made anything will have "slight" differences from one to another. 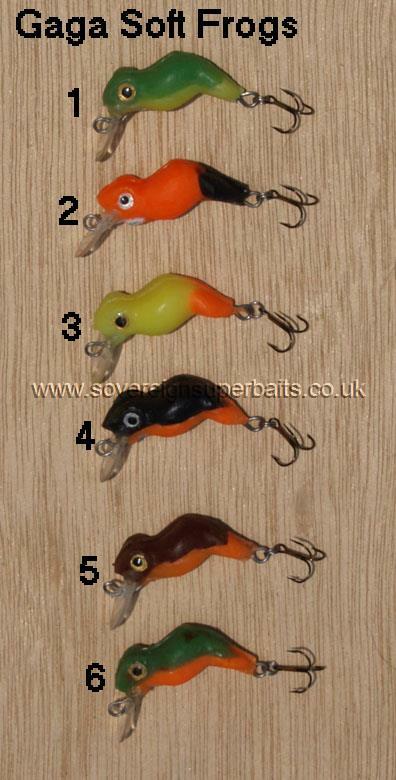 They sink at a moderate speed & have a very tight wiggling action, "great" for perch ! We've had good results on the Thames this summer. They can be counted down, but will run at about 2'/60cm on their own (if retrieved immediately on landing). They come furnished with a single size 10 VMC 9649 & a strong stainless steel split ring. 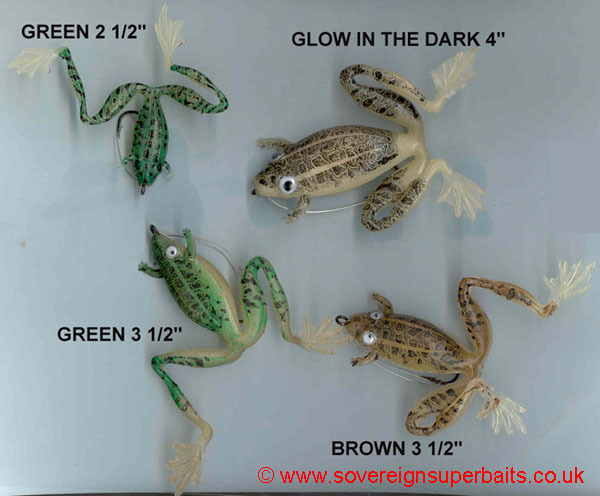 These are the most realistic frog on the market today. They are a twitch bait. Twitch them 4” at a time for explosive action. As you twitch retrieve these frogs their legs straighten and then refold making them look like they are actually swimming. At rest their legs spread just like a real frog. The weight of the hook makes them self-righting so they always sit the right way up. Available in 4 sizes and 3 colours. 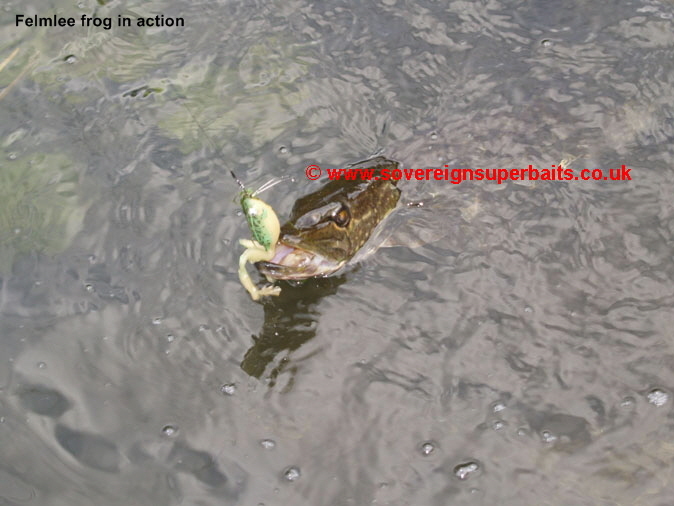 These frogs are so realistic in their action that I have personally had one stalked by a heron which followed it for some 40 yards thinking it was in for a good breakfast and Mark Brand had a 4 1/2” frog attacked by a “real” amorous male frog which had literally to be shaken off. 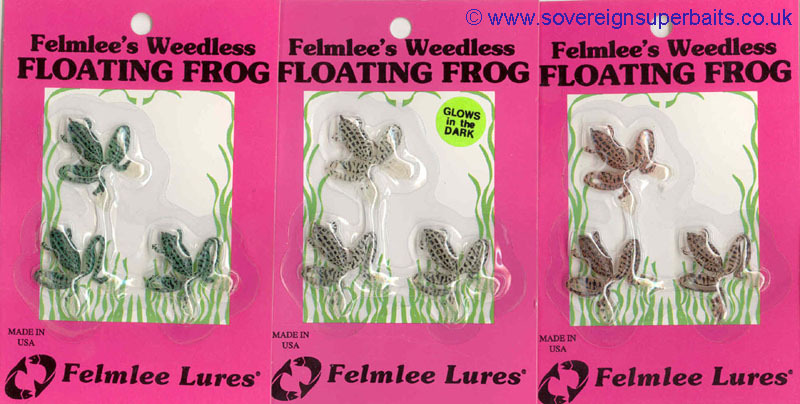 Highly recommended for Spring and Autumn, especially in shallow, weedy situations.